BYTE offers a range of fun experiential workshops for youth. Find out more and book a workshop for your community. 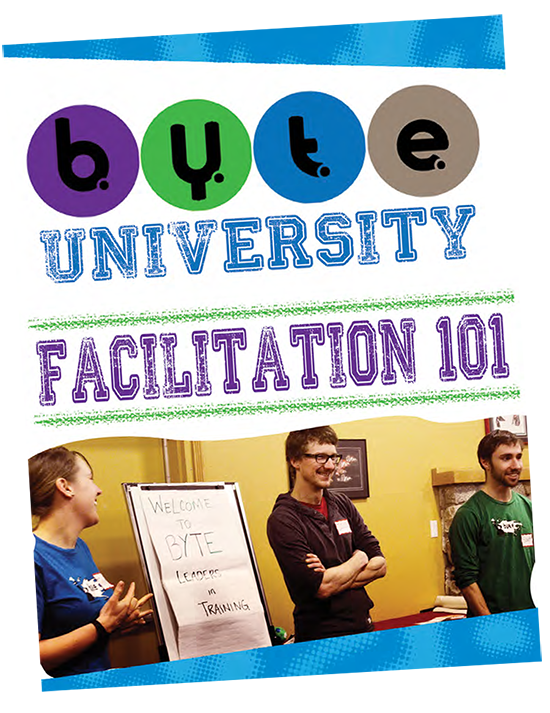 BYTE University is a facilitation handbook for youth workers and facilitators. This resource is also available as a downloadable pdf. There are many ways to get involved with BYTE. Find out more! Donations allow us to continue our work for youth in the Yukon and beyond. Click here to learn more about our registered charity and to make a one-time donation or become a monthly supporter. 2018 Battle of the Bands Roundup! The African Diaspora-What is it?